The strategy group on Thursday rejected Ferrari's proposal to replace the current V6 engines with a twin-turbo V8 formula for 2017. Germany's Auto Motor und Sport reports that plans to boost the sport cars to a whopping 1,000 horse power nonetheless remain on track. The report said that when Ferrari's V8 proposal was raised, Honda and Mercedes "rejected it outright and threatened to withdraw from Formula One". Bernie Ecclestone's touted 1,000hp figure will instead be achieved by reportedly using the current turbo V6 architecture and tweaking the fuel flow limit. Also rejected were ideas by Red Bull and McLaren, outlined in aggressive-looking drawings, to significantly improve the shape of the current F1 cars for 2016. "Fearing a cost explosion, most teams do not want to take this step until 2017," correspondent Michael Schmidt claimed. Those at the meeting also failed to decide on the thorny issue of Honda's position under the 2015 engine 'unfreeze', with McLaren supremo Ron Dennis pushing for his new works partner to have more 'tokens' to play with. 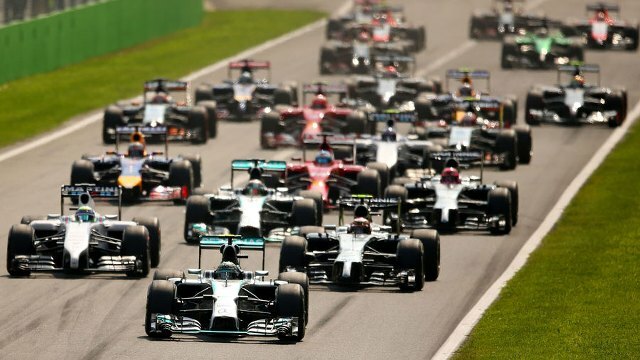 Formula 1 looks set for a radical overhaul in the next two years after the green light was given on Thursday to implement a major shake-up of the technical rules. A proposal for 1,000bhp engines, wider tires and increased downforce were put forward on Thursday during a F1 Strategy Group meeting in Paris. The ideas were received well amongst the majority of teams andthe F1 bosses and the go-ahead has therefore been given, with in-depth research into what exactly needs to be changed the next step. The changes will be staggered in an attempt to ease any financial concerns, with the biggest changes likely to come in 2017. Next season could see wider tires introduced and fewer aerodynamic restrictions to make the cars quicker and harder to drive - something F1 bosses believe will improve the spectacle. The following year, 2017, will see changes made to the power unit to increase its power output from roughly 850bhp to 1,000bhp by lifting fuel flow restrictions. It was decided that changing the engine formula altogether - as suggested by Red Bull's Christian Horner - would be far too expensive, with F1 bosses certain the 1,000bhp target can be achieved by tweaking the current hybrid-V6 units. Further discussions are set for later in the current month where more detailed proposals will be put forward, in the hope changes can be added to the 2016 rules when they are approved on February 18th. Behind the scenes in F1 there's a lot of work going on to consider a modern approach to the cars and the appearance of the sport, with some measures possibly coming for 2016, but some more important ones for 2017. The appearance of the cars is and integral part to this. Discussions have been ongoing in the F1 Strategy Group, which currently includes Bernie Ecclestone, the FIA, and the six leading teams (Ferrari, Mercedes, Red Bull, McLaren, Williams and Force India) about moving towards 1,000hp engines, wider tires and more aggressive and more eye-catching looking cars. The horsepower figure could be arrived at by relaxing fuel flow restrictions, but how would that play with the FIA’s desire to champion more fuel efficient technology? 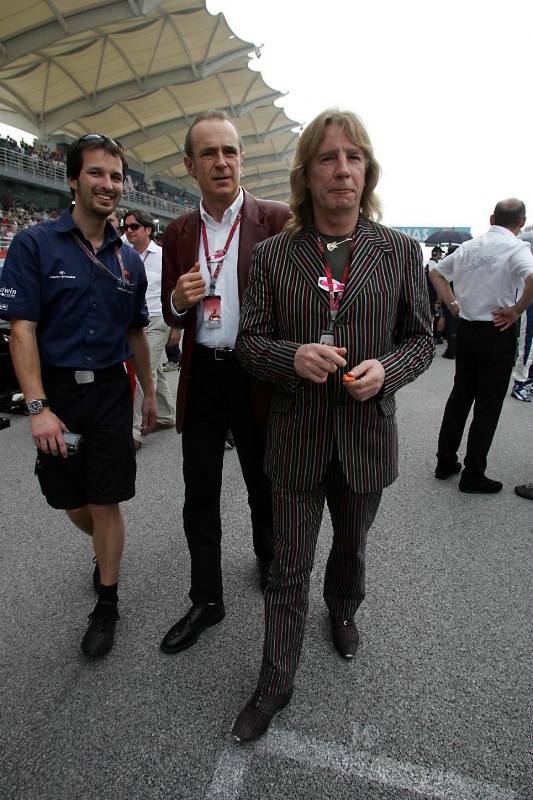 “We used to be the best, but now other sports have caught up”, was the observation of one F1 veteran insider. F1 bosses know that a revamp is needed and are addressing it. The timetable for change is quite short for next season, they would need firm proposals agreed by March to be able to pass measure with a majority. After that everyone would have to be unanimous. The lackluster and uninspiring liveries revealed in the 2015 cars are a suggestive symptom of the problem. Most F1 teams approach liveries as an art canvas to showcase their sponsors. A lot of work goes into it, but nothing like how much goes into refining the aerodynamics of a brake duct, which the public never sees. Apart from the drivers, the look of the F1 car is the thing which is most prominent in the public domain (the spectator) and yet there are a handful of people in each team thinking about it, while the engineers’ drawing office is stuffed with over 100 tech experts. Many believe this highlights F1′s real problem; that there is a disproportionate bias towards the engineering and not enough effort expended on the ‘wow-factor’ of F1 cars. Liveries revealed this winter by Sauber, Force India and McLaren in particular have been considered conservative and dull, not reflecting in any way how spectacular and exciting F1 cars are to look at. They dress the cars down, rather than dress them up. F1 is about personalities, but the cars should have strong personality as well. Formula 1 bosses are split on the timing and implementation of rules intended to make cars more exciting. All are in favour of a plan to make cars look more dramatic but there is disagreement on whether changes should be made for 2016 or 2017. Ferrari and Mercedes have their hands tied to some extent by the fact that their car has to be on-message with their automotive brand, while Red Bull devotes immense time and effort to the look of the cars, because F1 is primarily a marketing exercise for their brand. McLaren, now that it is an automotive brand in its own right, as well as a technology brand, wants to follow suit, but seems to have got itself very confused about what it is trying to say. A reworked livery is believed to be in the pipeline after the hostile reception given to the HRT-like look revealed on the Jerez test car. A new group called the Promotional Working Group, which is being driven by younger team members with ideas and they have been given a degree of room by Ecclestone and the FIA to work on ideas for the next phase for F1. New Ferrari team principal Maurizio Arrivabene as a marking man himself, along with figures like Claire Williams, are pushing this group hard to come up with real meaningful plans. 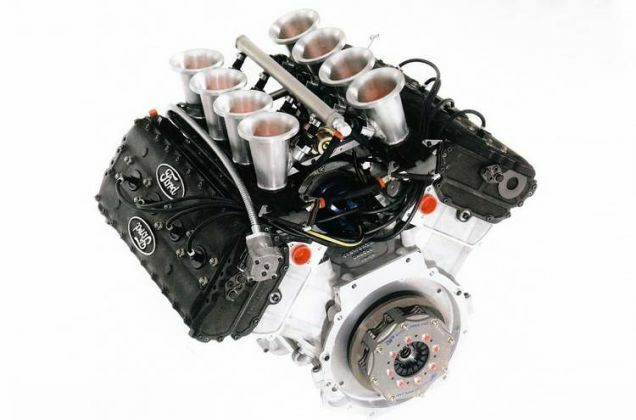 There is also no agreement on how to achieve the goal of 1,000bhp engines. The complexities of the chassis arguments are being played out at a meeting of technical chiefs on Friday, the remit of which is to draft a set of rules for 2016 that can be agreed by the next step in the rule-making process, the F1 Commission, on 17 February. Who wants what, when and why? But Mercedes are pushing against this, believing F1 should conduct research with fans and audiences to see whether this is what they want. The desire for change is being driven by declining television audiences in some key markets - although numbers have gone up in some countries such as the UK and USA. 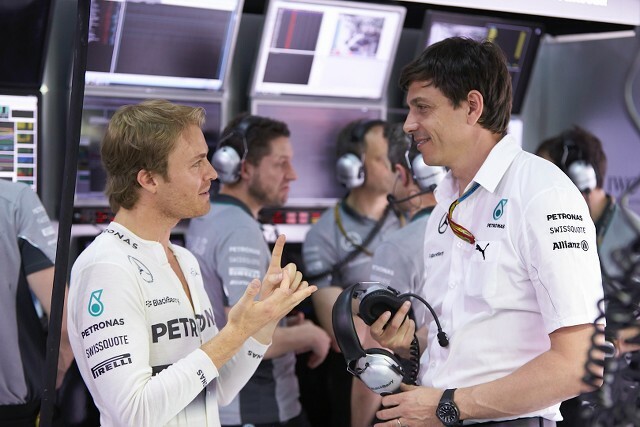 Mercedes have also been arguing in meetings of F1's rule-making strategy group that to introduce new rules too early would have a detrimental effect on the 2015 season. They say the short timetable would lead teams to stop developing their cars for this season to concentrate on the new designs for 2016. The same would apply if the change was made for 2017, but the longer timescale would mean the change was easier to manage. Ferrari occupy a kind of middle ground. They have an overall desire to reduce costs and improve the show. They accept that major changes to the cars would have to wait until 2017 but believe smaller modifications could be made for 2016. In addition, a formal tender process will be conducted to choose a new tyre supplier after the end of Pirelli's contract in 2016. Tyres will be of lower profile, with 18-inch or even 20-inch wheels being discussed to replace the current 13-inch designs. 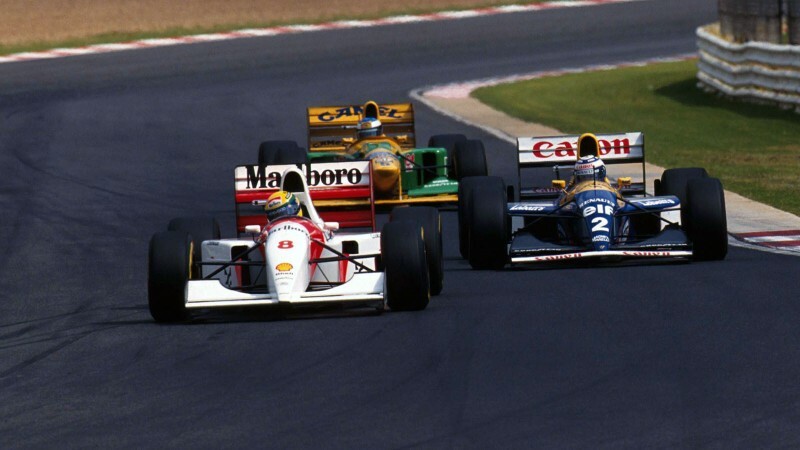 The agreement to introduce wider cars, tires and more powerful engines was described by one team boss as "the lowest common denominator" - the only thing all could agree on. Red Bull are pushing for modifications to the cars and tyres in 2016. Some believe this is because they think it will help them reduce the significant advantage Mercedes have held since the introduction of the new engines last year. A change for 2016, sources say, was agreed by a majority vote at the last meeting of the F1 strategy group of leading teams, F1 boss Bernie Ecclestone and governing body the FIA. But it is based on an idea that returning the look of the cars to those of 1992-93 or similar would increase the audience. However, some argue that could be because it was an era many of them find evocative as it was when they were growing up and first became fans of F1. So Mercedes team boss Toto Wolff has proposed that F1 conducts research to see whether this is indeed what the younger fans of today want. Ecclestone, F1's commercial chief, has been a staunch opponent of the new fuel-efficient engines since their adoption was agreed six years ago and has tried several times to get them dropped.He believes they are too expensive and too quiet. But all four car manufacturers involved in F1 insist on keeping the current engine format, with systems that recover energy from both the rear axle and turbocharger retained because of its relevance to road car technology. Ferrari president Sergio Marchionne had proposed a new hybrid format, based on a 1.9-litre V8 turbo engine, claiming it would be cheaper. But he backed down on this when it was pointed out to him that changing the engine architecture could well mean Mercedes ended up further ahead, because their engine department is regarded as the best in F1. Mercedes have proposed removing the fuel-flow limit on the current engines as a way of increasing power, which is currently in the region of 850-900bhp. But Red Bull believe this would force a major redesign that would be too expensive for the other manufacturers, especially their supplier Renault. A meeting among Formula One teams, the FIA F1 commission and Bernie Ecclestone has resulted in a status quo for the sport, rejecting all major rule changes ahead of 2017. Among the proposals was discussion of the 1000bhp engine suggestion as many feel the need for more spectacular cars that are more difficult to handle for the drivers. 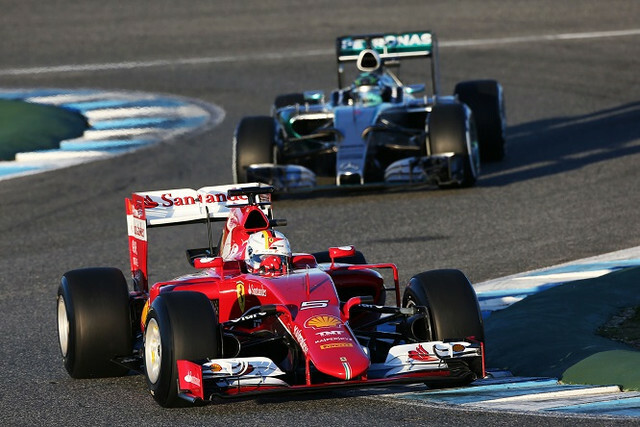 A return to wider cars in 2016, as suggested by Red Bull Racing and McLaren has been postponed until further notice while Ferrari's very own proposal for more spectacle and noise was quickly borked as well. A BBC report states that the timing of its introduction has divided opinion among the paddock with some teams favouring the changes to become effective from 2017. The move to delay a regulation revamp came just hours after Ferrari released images of its new F1 car concept, which was launched to fuel the debate regarding a change to the current regulations. At the same meeting, a further discussion on cost cutting was quickly rejected by the major teams, with one negotiator reportedly saying "we are in the sport to win it, not to save costs or to care about the smaller teams". Sadly, that quote quite nicely sums up the state Formula One finds itself in. As smaller teams struggle to compete or even pay the costs of the highly expensive hybrid power systems, the big teams continually push the limits to win. Each time one of those teams finds itself - performance wise - in a difficult situation, it tries to lobby for a change of rules, as that usually offers a better chance to turn the tides. Formula One drivers are to be barred from changing helmet designs during the course of a season in a ruling aimed at helping fans identify their heroes and also pleasing traditionalists. It will be less well received by those drivers who like to change the look of their lids with some frequency. The decision was taken by the governing FIA's Formula One Commission, which met on Tuesday, one of those present confirmed to Reuters. It has yet to be ratified by the World Motor Sport Council. "The FIA is keen to have stability so people can identify who is in the car," said the source. 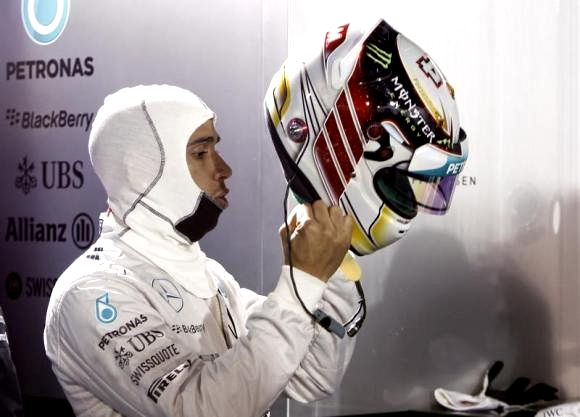 "The new phenomenon of drivers changing helmet every few races isn't helping." The news received a mixed response on social media, with sportscar racer and former F1 driver Alexander Wurz one of those critical of the decision. 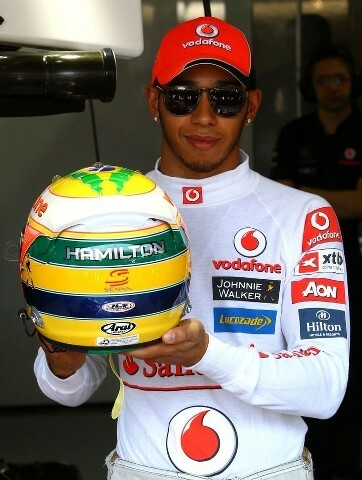 "I hear F1 banned drivers to change helmet design during season. I am a fan of consistency. BUT SERIOUSLY! What's next? Rules on haircut?," said the Austrian on Twitter. Australian Mark Webber, who left Formula One at the end of 2013 and now races for Porsche in sportscars, suggested there were "bigger issues than this" for the sport to address. 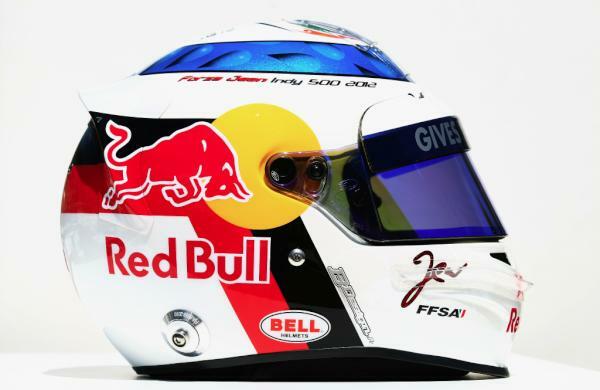 Others pointed out that one-off helmets, such as the special design worn by Jenson Button in 2011 and auctioned off to raise funds for victims of a Japanese earthquake and tsunami, would not be allowed. 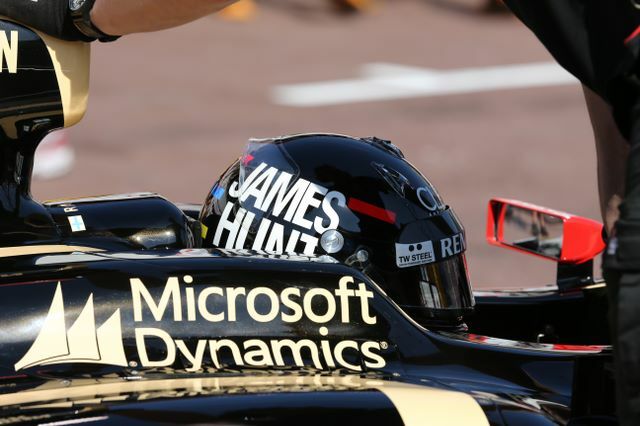 Nor would tribute helmets, such as the James Hunt one worn by Kimi Raikkonen in 2013. Reportedly, four times world champion Sebastian Vettel has used some 60 different designs since his debut in 2007 -- although he said recently he was likely to stick with one now he was at Ferrari. 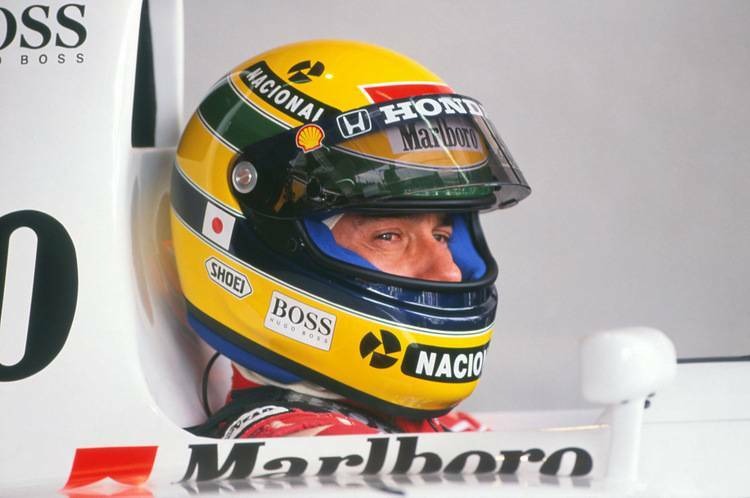 The frequent changes have rankled with more traditionally-minded fans, who yearn for the days when drivers were easily recognizable by helmet colours and when cars also had much bigger numbers on their sides. Britain's two times champion Graham Hill famously raced with the colours of the London Rowing Club, dark blue with white tabs, in the 1960s and 70s with son and 1996 champion Damon following the tradition. 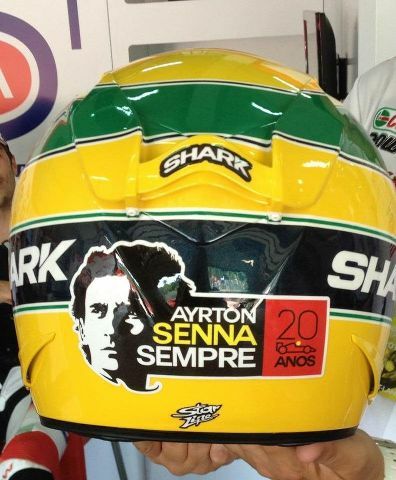 The most distinctive helmet of all belonged to the late Brazilian triple world champion Ayrton Senna, who was always associated with his country's yellow and green colours. 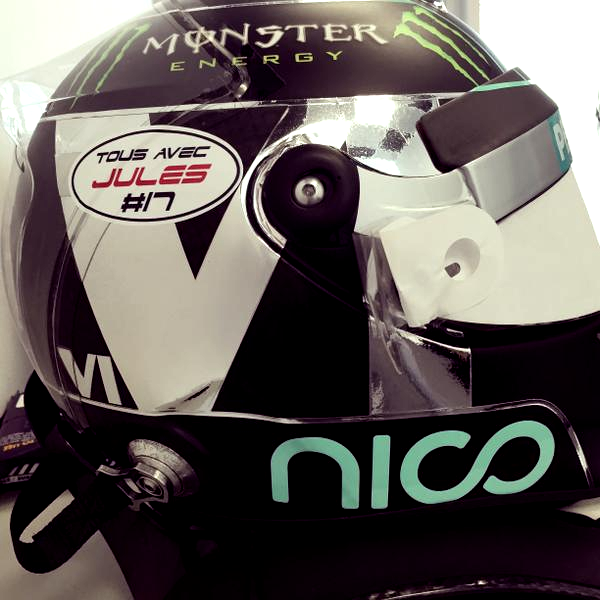 And what about Jules Bianchi's helmet tribute? (They really just need to stop tinkering. Give the teams a solid engine formula and let them be. The biggest problem with todays engine formula isn't that it is a Turbo V6 that is quiet as a mosquito. It is that the FIA in their 'infinite' wisdom has frozen development of the engine. So Renault and Ferrari are stuck with what they brung. That is the most anti-competition rule the FIA has put out in ages. The above post was in response to the first article. As for the helmets, it's simply Bernie poking his nose where it doesn't belong. Helmets don't identify drivers. It makes far more sense to devote either more real estate on the car to that, or a simpler way of doing it (yellow and orange camera mounts or car noses worked for a number of years, what is wrong with that?). Someone mentioned that the drivers should each do a caricature of their own faces on their helmets - I think that's the best idea yet. But seriously, Bernie needs to focus on what needs to be fixed in F1, not helmets. Some, if not many of the helmets get auctioned off for charity or given as prizes for various things. 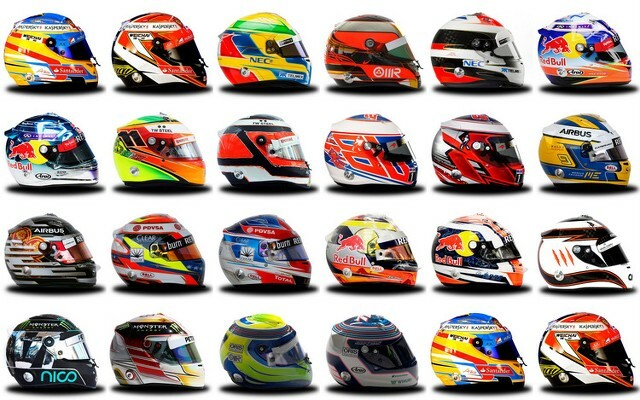 This is a good thing, and a plus, plus for everyone as the drivers generally get a new helmet every race. In the 'old' days, drivers only wore the same helmets because they simply never thought of changing it out, or didn't want to pay the price.